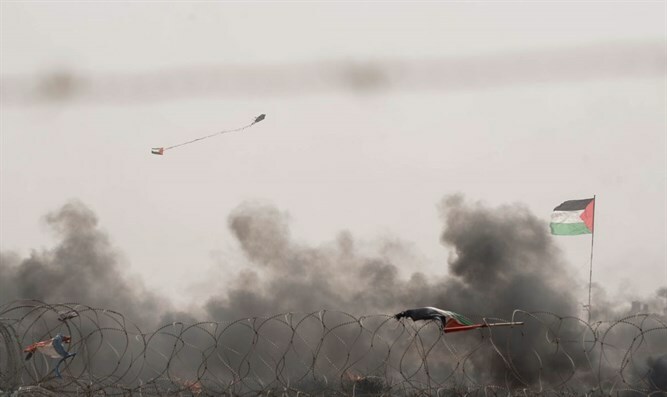 Chairman of the Knesset Foreign Affairs and Defense Committee, MK Avi Dichter (Likud), called to "contain" the kite firebombs that rioters are hurling from the Gaza Strip towards Israel. In an interview with Radio Darom, Dichter said that trigger must not be pulled too freely against the kite terror, which is causing huge fires in agricultural fields in the Gaza vicinity. "With all the pain of seeing fields of burning wheat or grazing fields lit on fire from all sorts of kites and other malicious articles - this is a different kind of fight or struggle," said Dichter, former head of the Shin Bet security service. "It takes a lot of patience and ability to contain." Dichter added that "Freely pulling the trigger is not always a solution, and sometimes a problem." In recent days, too, the kite terror has continued, causing severe fires in the agricultural fields adjacent to the Gaza Strip. Last week, the Ministry of Finance decided to recognize terror-related damages due to the kites and to compensate farmers of the Gaza perimeter whose fields were damaged by the firebombs through a property tax fund.